Take a drive down to ipoh this afternoon, to catch up with the latest movies, was choosing between "What Happens In Vegas" and "Speed Racer". I chose "What Hapen In Vegas" in the end. The reason was I think speed racer doesn't worth the penny. And by judging the trailer. I think speed racer is kinda childish. 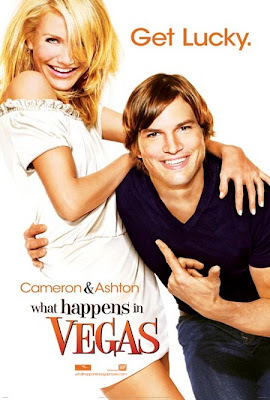 Therefore I go on with my instinct and bought the ticket for "what happens in vegas". Well, the show indeed prove my instinct right. The show was nice and funny. I would say that's a movie for a night out with your gf. Try to avoid to watch it with a guy, cause the mood will be so wrong. Watching with your love ones will be most appropriate. Cameron Diaz.. erm a bit old for Ashton I would say. Some of the scenes were sensored out from the movie which makes me piss off with the board of film in Malaysia. Come on what's wrong with you guys, I pay to watch the escense of the movie, the cream of the movie, so please don't f******* sensored my movie. No wonder the pirated VCD are so hot right now, as you get to watch the whole movie and is F*** cheap. But anyhow the movie was nice and i enjoy it very much.